Grab your red/cyan 3-D glasses and take a look at these marvelous new anaglyphs created by Nathanial Burton-Bradford from the latest data from GOCE satellite, showing Earth’s gravity field – or geoid. The geoid is essentially a map of the shape our world would be its surface were covered by water and if gravity were the only thing shaping this global ocean’s surface. These exaggerated views (the surface in the images of the geoid is amplified by a factor 7,000) show the most accurate model of how gravity varies across the planet. 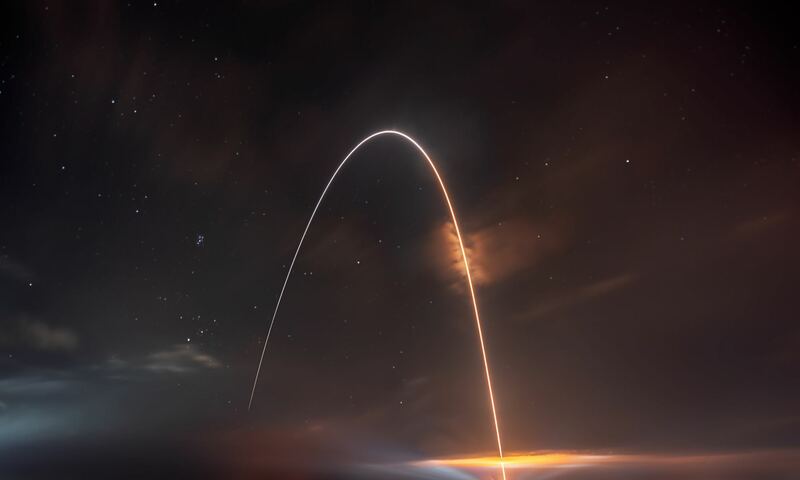 Nathanial was able to obtain high-resolution video from Dr. Rune Floberghagen of the GOCE team from which he extracted appropriate frames in order to construct hi-res anaglyph images of numerous longitudes across the globe. In our previous article about GOCE (Gravity Field and Steady-State Ocean Circulation Explorer), we showed the entire globe and how it looks like a spinning potato. Nathanial’s anaglyphs show close-ups of various parts of the globe. Above is Australia and Asia. 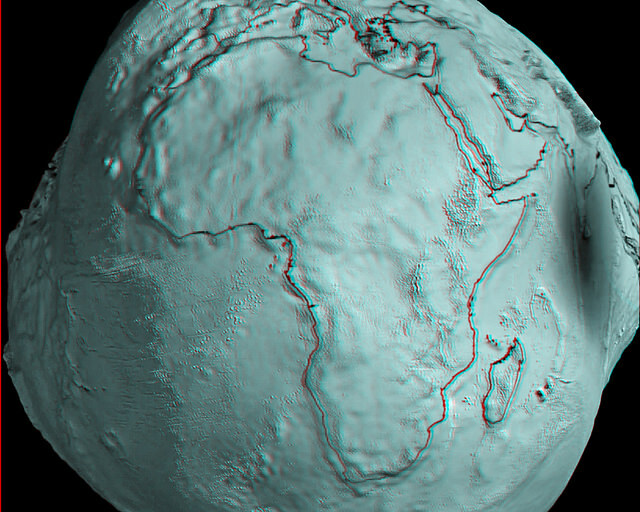 Take a trip around the GOCE geoid 3-D world below. Remember, use the red/cyan 3-D glasses to get the full effect! GOCE view of South America. Credits: ESA/HPF/DLR, anaglyph by Nathanial Burton-Bradford. GOCE view of the US and Mexico. Credits: ESA/HPF/DLR, anaglyph by Nathanial Burton-Bradford. GOCE view of Europe. Credits: ESA/HPF/DLR, anaglyph by Nathanial Burton-Bradford. GOCE global view, 145 East Longitude. Credits: ESA/HPF/DLR, anaglyph by Nathanial Burton-Bradford. GOCE global view, 140 West Longitude. Credits: ESA/HPF/DLR, anaglyph by Nathanial Burton-Bradford. Thanks to Nathanial Burton-Bradford for sharing his images. See more at his Flickr page.